This week hosts Eric Nesbit & Justin Gay tackle the two big games from the NFL Conference Championship weekend where fans saw the Patriots and Eagles advance to the Super Bowl matchup that looked obvious halfway through the season but ended up being a much harder road to glory than expected. Segment two features NBA talk regarding the mess of a situation that LeBron James and the Cleveland Cavaliers are facing, as well as some discussion about the NBA All-Star selection process. The show ... See More concludes with the traditional lightning round with questions about Tiger Woods and the 2018 NASCAR season. 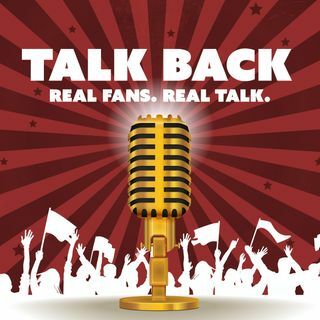 Follow the podcast on Twitter and Instagram at @TalkBackFanTalk, or the hosts individually at @TalkBackEric and @TalkBackJustin, where interaction about the world of sports is always welcome! Enjoy the show!